In October last year, Facebook started the limited trial of an alternative News Feed called Explore, with the idea of separately displaying posts from friends and relatives in one feed and the other one to host messages from brands, businesses and promotional posts. It seems that the hassle of going through two news feeds was too much for users, and their bitter experience with Explore has prompted Facebook to pull the plugs on the News Feed experiment. Facebook rolled out Explore feed in six countries to test out whether the idea of introducing two separate feeds was productive and if it could help users connect more with family and friends. Needless to say, Facebook’s experiment proved to be a confusing experience for users in the test countries, who reported that the addition of Explore made it harder for them to access information which was important to them. “We constantly try out new features, design changes and ranking updates to understand how we can make Facebook better for everyone. Some of these changes—like Reactions, Live Video, and GIFs— work well and go on to become globally available. Others don’t and we drop them. 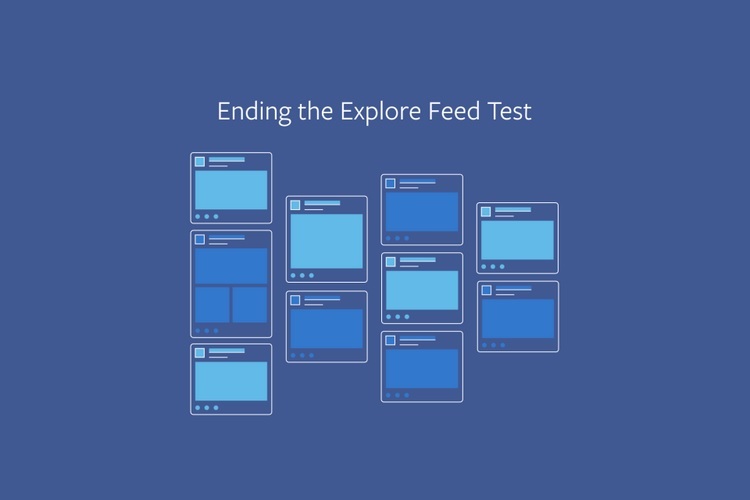 Today, we’re ending one of those tests: the Explore Feed”, wrote Facebook’s Head of News Feed, Adam Mosseri in an official blog post. The post further mentions that Facebook is shutting down the Explore feed globally, and is also looking forward to making some changes in the way it assesses test regions for future experiments and improving the manner in which new products are explained to users.